If you’ve already jumped in with social and are reaping benefits, great! You’re in good company. Some of the big names in financial services are as well, according to a 2017 list published by The Financial Brand. It contained names like Wells Fargo, Capital One, TD Bank, Chase and many more. 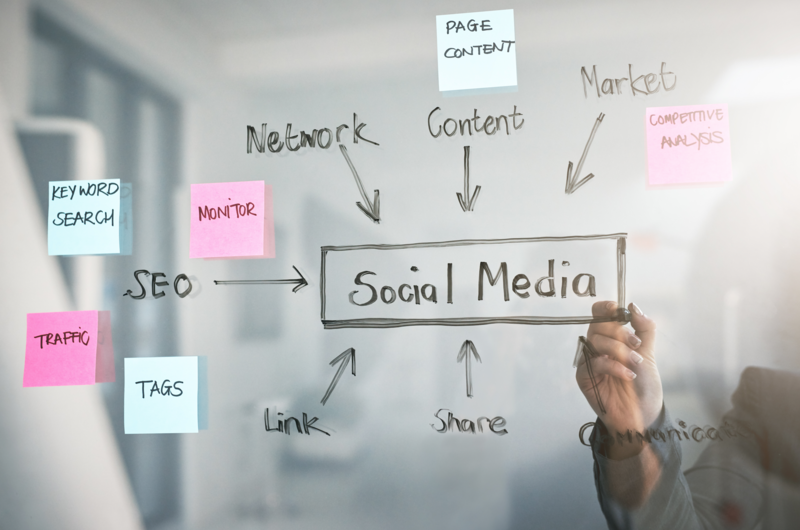 But if you’re just starting out with social, or are focused on improving the results you’re getting from your efforts, please consider these Three Important Social Media Considerations for Banks and Credit Unions. #1 Content is King, but less is more. Banks across the country who’ve been marketing via social channels for some time have come to realize that constantly posting details about what is, as The Financial Brand posted recently, “the equivalent of what they had for breakfast” is a bad idea. Post less and make it count with information that’s useful to your audience, that makes them realize how much you value them and that elevates your brand. Also, on Facebook, consider using promoted content. The truth is that organic content is pretty much dead on Facebook, so if you want to get in front of your audience on this insanely popular platform, you’ll have to pay for it. Of course, targeted posts cost more than generic posts so you’ll need to evaluate your cost per interaction and ask whether the desired result is worth the expense. Lastly, use video. According to The Financial Brand, there’s been a 631% increase in video content in 2017. Let’s face it, the point of social interaction is to engage your audience and we all know that nothing engages people like a well-produced video. But again, make the content memorable, interesting and meaningful. #2 Respond to complaints quickly. This seems obvious on the face of it, but many financial institutions still miss the boat here. When someone wants to gripe about your bank or credit union, Twitter and Facebook are going to be the venues. So, you need to be there and you need to be ready to respond fast. Within 10 or 15 minutes whenever possible. Again, the point of social is to be involved in and (in a perfect world) to direct the conversation toward the positives of your bank and your brand. But people are people and not everyone is going to love everything you do. When complaints do arise online, quickly countering with a positive spin will help you calm any potential storms. Of course, the best way to minimize negative posts about your institution and your brand is to proactively engage your audience in meaningful, valuable and informative conversations. #3 Don’t view social as a standalone. You want big social results? Integrate your social media and advertising strategies. Here’s a lofty but wonderful illustration. Remember the Old Spice Guy, whose deadpan delivery of silly monologues and costume changes were made all the more humorous because of his unwavering gaze into the camera? All while riding on a white horse? The character was part of one of the most successful social campaigns ever, which included more than 180 personal video responses to fans’ tweets and comments. But without the initial ads to introduce the Old Spice Guy to America, no one would have known him and the results would surely have been different. While your ad budget might not allow for such pricey campaigns, the logic of an integrated strategy makes sense. There’s much more to talk about regarding social media, but we’ll save that for future blogs. In the meantime, if you’d like to talk with us about your social media strategy and implementation, get in touch any time.